IC-MyHost chooses TOT Internet Data Center (TOT IDC) that standardized ISO/IEC 27001:2005 both electric system, power supply system and air conditioning system. Moreover, there are BMS and NOC security system and network system. For your important information, you can trust when you use Dedicated Server with IC-MyHost. TOT Internet Data Center realizes that the most security of tool and information are the most important. So, TOT IDC provides facilities and network in universal standard and prepares the authority to control the system all day and night. Electric system design of dual System in emergency case, TOT manages the best tools of network system. It can supply from two of UPS generators systems for client's stability of TOT. For Internet Data Center can support the virtualization and serve cloud computing the in the future. It can connect through the internet with large bandwidth. This responds the application and working of system all around the world. 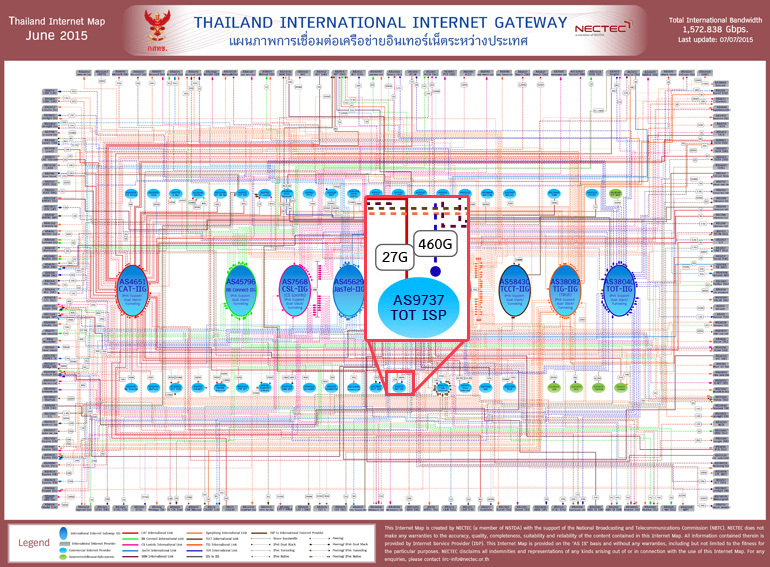 TOT Internet Data Center is a building of information technology and Communications Authority of Thailand that can support more than 1,000 kg/racks. The building of TOT Internet Data Center can support server and SAN Storage. It's the best security. Electric system Generator, UPS are designed for fully redundant services so that the distributor works continually. It's the best way for your business. Air conditioning system of TOT Internet Data Center provides precision air conditioning that control style N+1. This is air conditioning system for first- class data center worldwide. It has a proficiency to control the best temperature. TOT Securityprovided the best guardsman and finger scan system. In the building has CCTV to record the occurrence. TOT network system equips a first- class the last nexus of network for use in Data Center from Cisco. This serve all your need. Moreover, TOT IDC was installed firewall system which the client used and prepared bandwidth for connecting with the internet through TOT International Internet Gateway both domestic and international. BMS : Building Management System is a computer-based control system installed in buildings which controls and monitors building's mechanical and electrical equipment all the time. NOC : Network Operation Center is which network monitoring, control, check and solve forthe network all the time. TOT Internet Data Center can support all your application, dual electric system, dual temporary generator system. Precision air conditioning system, finger Print Scan and CCTV of security system, Network Firewall, IP Address, Internet Port, VESDA, fire extinguisher for Data Center FM-200. IC-MyHost chooses TOT Data Center with electric system, air conditioning system, security system, network system and support system of network. For your important information, you can trust when you use Dedicated Server with IC-MyHost.